Now you can get the great information on this website – and much more – in a professionally published paperback. Order now! 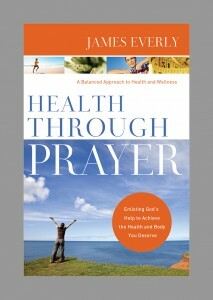 Working with the nice folks over at Steady River Publishing, I have expanded and adapted the material from this website into a short book of the same name: Health Through Prayer. It is only 106 pages long, so it is an easy read. As you can see from the table of contents below, the book contains lots of the great information found on this website, and much more. For a limited time, the book (paperback) is only $12.95. Shipping and handling for customers in the U.S. is completely FREE. Order now. I found that putting the material into book format allowed me to create a more cohesive whole. The book progresses from simple to more complicated topics, and it was easier to string together themes across different parts of the book. I think this is because you can safely assume that a book will be read in the order the chapters are presented. On the website, each article must be able to stand alone because you never know the order in which readers will find the material. In any case, it was a satisfying experience, and I am very happy with the end result. Like the website, the Health Through Prayer book contains no gimmicks or fad advice. It will guide you through common-sense improvements to your diet and lifestyle, with each step grounded in faith and prayer. By combining the latest information about health, nutrition, and exercise with the enduring wisdom of the Bible, this information can help you to lose weight, exercise more, have more energy, and much more. Each chapter addresses a single topic related to your health and wellness – such as diet, exercise, moderation, sleep, stress, and temptation – and provides concrete information about how to make changes that will yield real benefits. Each chapter also includes a discussion of relevant passages from the Bible, specific prayers related to each topic, and suggested exercises to help focus your work. If you have enjoyed and benefited from the information on this site, please consider supporting me by purchasing a copy of the book for yourself or as a gift for any friends or family members that you think also might benefit. If you are interested in buying the book, please head over to the new ordering page. Health Through Prayer addresses a wide variety of issues that together comprise a balanced approach to your health and well-being. Engaging God in your efforts to improve your health will help to ensure that you meet your goals. Click here to see the profile for this website on Alexa.com. "This book is a great resource!" Copyright © 2014 by James Everly and Steady River Publishing. All rights reserved.